Lisa Laporte offers tips on writing quality blogs for your business. Blogging is one of the universally accepted techniques of actively engaging a company’s customers and clients across the internet. When creating blog content, emphasis should be made on drawing the attention of potential customers while continuing to retain the already existing ones. The art of blogging can be significantly beneficial for your business if the blog content written is targeted for prospective customers and clients. 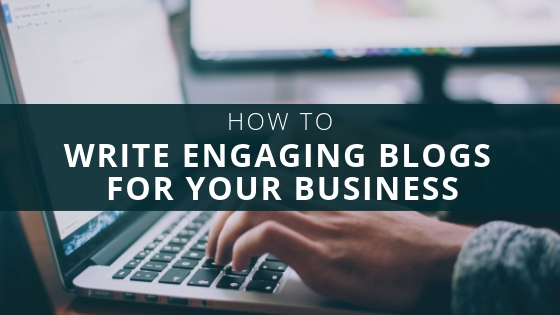 Here are some key tips on how to write engaging blogs for your business. Depending on your business’s investment, you may want to focus your blog content on areas in your industry such as news and upcoming trends. Web users pay close attention to new developments in your industry and are savvy of emerging trends. Writing captivating blog content would be a sure way of attracting the attention of new potential clients while retaining the interests of the already existing ones. A vast majority of web users take to the internet to search for guidelines on how to do particular things. Focusing your blog content on explaining how to undertake common market issues and activities can, therefore, be an excellent way of generating traffic towards your business’s website and blog. There is no better way of knowing whether you have a blog following and readership as actively engaging your readers. One of the most effective ways of reader engagement is posting questions or writing content that elicits reactions that generally lead to replies, thereby generating a discussion among customers as well as between your business and the customers. You may also want to use your blog space to share information and success stories on how your business and its leaders have been able to demonstrate progress over time. Such success stories come in handy in motivating readers. Such content also helps generate a buzz across the market, especially on issues that readers have never been aware of regarding your business and its leaders. Corporate social responsibility is the surest way to create interest and liking for your business. You should use your business’s blog space to share with readers on what your business has been doing towards reaching out to the immediate community and the needy. Posting success stories and images of CSR activities such as community work or visiting orphans helps your business connect better with the market while improving on its public image.